How are OEM Warranty Products Different than Other Warranty Products? How are Warranty Products Fulfilled? Nuances of Providing Service on Warranty Products. How can Warranty Services add Value for your Consumers? 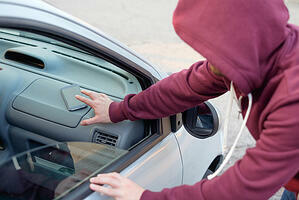 Warranties products can include a broad range of products and services. From manufacturer or OEM warranties on products, to extended warranties, service contracts, accidental damage from handling (ADH) to loss and insurance, warranty products cover at minimum the repair of a failed covered product. Manufacturers or OEMs offer two kinds of warranty products, implied and expressed. Expressed warranty products aren't "read into" a sales contract, but are explicitly offered to customers as part of the sales transaction, and include promises and statements about a product or about a commitment to fix defects and malfunctions that might be experienced by consumers. Manufacturer warranty products are provided to protect a consumer from product failure during the coverage period, and require the manufacturer to estimate accurately not only sales forecasts for the product, but how often a product might fail, such that funds, or a 'warranty reserve', can be set aside to fund future potential warrantied product failures. For manufacturers which forecast well, the reserved funds protect them from unexpected costs related to higher failure rates, and can also be a boon, when failures are lower, contributing directly to their bottom line. Manufacturers can also offer other kinds of warranty products, including extended warranties, service contracts, ADH, as well as theft and loss warranty products. Extended warranties are warranty products that typically wrap around a manufacturer's warranty product. Extended warranties offer warranty services such as repair for product failures that occur after the OEM warranty expires. 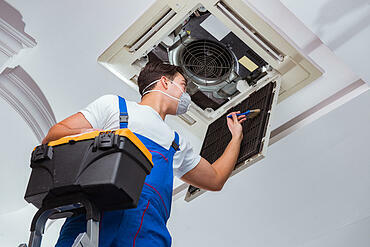 Service contracts are often synonymous with extended warranties. Often the terms are used interchangeably. However, service contracts can also be described as a contract or warranty product which begins at the date of purchase, or DOP, of a product, whereas an extended warranty begins upon the expiration of a manufacturer's warranty period. Service contract cover the same 'break fix' or repairs which extended warranties cover, but also, in the case of a DOP contract also include additional coverages for non-OEM covered features, such as food loss, power surge or no lemon coverages which can kick in on the date of a product purchase. Additionally, service contract can also extend outside the traditional boundaries of 'break fix' coverage, particularly when paired with products with support internet of things or IoT connectivity. IoT enabled products can send sensor information to manufacturers or OEMs and service providers which can alert them of impending failures or maintenance requirements with products, enabling proactive service rather than reactive repairs. When used in conjunction with repair history data, service providers and service contract or third party service contract administrators can can craft custom service and maintenance solutions based on predictive service schedules. 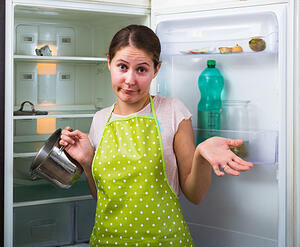 Food loss coverage on a service contract or on an extended warranty product offer consumers protection for food spoiled when refrigeration products fail, allowing food to spoil and become unusable. Typically coverage includes a reimbursement for spoiled food up to a limit, such as $200, once in a 12 month period of time. Power surge protection on a warranty product usually covers just what it sounds like, damage from a power surge, including the parts and labor costs resulting from a mechanical or electrical failure not caused by lightning strikes. No Lemon coverage protects you from repeated failures. Typically, warranty products cover repair on a product three times during any continuous 12-month period. On the forth failure during the same 12-month period, at the discretion of the service contract or extended warranty administrator, the product can be replaced with a new or refurbished product of similar features and functionality, though not always the same brand or color. Sometimes a credit towards a purchase can be provided instead. In either case will the replacement or credit exceed the original purchase price of the Covered Product, and generally, the failed product needs to be returned to the service contract or extended warranty administrator, and the warranty contract is deemed fulfilled and ends on the replacement/refund date. ADH warranty products do not provide protection against theft, loss, reckless, or abusive conduct associated with handling and use of the product, cosmetic damage and/or other damage that does not affect unit functionality, or damage caused during shipment. ADH warranty products are typically offered on digital or computer products, like mobile/smart phones or tablets. ADH is not an insurance product. Warranty products which cover theft and loss offer protection from theft or loss generally on mobile products like cell phones. The warranty products generally cover a single product as an add on coverage to a ADH plan, and include a deductible and claim occurrence limit over a rolling 12 month period. Considering the adoption of handheld and smart technologies, warranty products now can also offer additional services such as set up of mobile devices and networking products, installation and even 'how to' tutorials. Wherein manufacturer warranties cover products from the date of sale through the stated term, warranty products such as extended warranties and service contracts can offer uplifted coverage that coincides with the manufacturer's warranty, as well as extended protection through many years after product purchase, with the ability to renew existing extended warranties and service contracts or even purchase new extended warranties and service contracts at some point later in the product lifetime. 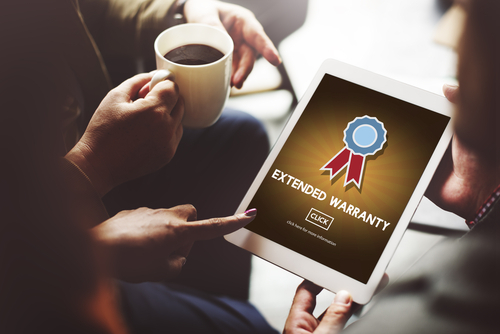 Warranty Products offer fulfillment of the promise a manufacturer, retailer or service provider makes when selling a product with a warranty, or an extended warranty or service contract. Servicing warranty products includes maintaining, repairing, or replacing a warrantied product. Servicing warranty products often includes dispatching a field service tech, wrench in hand ready to fix products. However, servicing warranty products has evolved. Some consumer products can be fixed and some can't, insomuch as it's more economical to replace a product with a new or refurbished unit. Some products are IoT enabled and can indicate to manufacturers and service providers an issue before it progresses to a complete product failure, making proactive maintenance rather than reactive service the biggest need. More importantly, servicing warranty products doesn't end with the failure of a product. Providing services or fulfillment under a warranty product is necessary beginning from the manufacture of a product through the post sales process including support, repair or replacement service and eventually, the end of life where products can be replaced with new and/or different products. Manufacturers, retailers, service providers as well as insurers and extended warranty and service contract administrators can provide service fulfillment under warranty products via omnichannel technology which supports a consumer's need for service at every touch point in the product lifecycle, improving customer satisfaction, which in turn impacts brand loyalty and long term revenue. Fundamentally, the need to service a product dictates that a manufacturer or service contract administrator recruit, credential, onboard, contract with and manage a service network. Some of these entities hire their own work forces and will provide depot, exchange or in field service fulfillment, while others will contract with third party service providers. Some use a combination of both. A well managed network is similar for warranty products such as extended warranties and service contracts. Solid process, clear expectations, great support and cutting edge technology which offers omnichannel consumer entitlement and service scheduling to dispatching and claims functionality are critical to providing a super service experiences to every consumer. Where the processes can differ is related to the scope of products on which service must be delivered. Warranty products such as extended warranty and service contracts cover multiple different types of products and brands, ranging from appliances to electronics, computer equipment, mobile products to HVAC and even home systems like plumbing, electrical and foundations. So, the recruiting requirements are more complex, the licensing and credentialing requirements differ and more importantly the cost of service and time to deliver service varies greatly. Manufacturers tend to deal with a much more limited product and brand set. However, warranty products like extended warranties and service contracts must use all of the tools mentioned above, especially given the more complex nature of their businesses, to deliver awesome customer service experiences. Warranty product providers such as extended warranty and service contract administrators that understand the need to meet consumers where they are, on the web, in the call center and in social media, and have the service network and technology in place to manage it, deliver the best service levels to consumers, driving brand loyalty and future revenue. Warranty products extend the life cycle of consumer products, decreasing dissatisfaction with product operability and durability. Brand loyalty is positively impacted through faster time to service and first time fix rates which warranty product administrators drive through excellently managed service contractor networks. Increased, long term revenue channels. Warranty products provide manufacturers, retailers and service providers with increased new product sales. New products backed by longer service coverage are valuable to consumers and differentiate your products from your competitors. 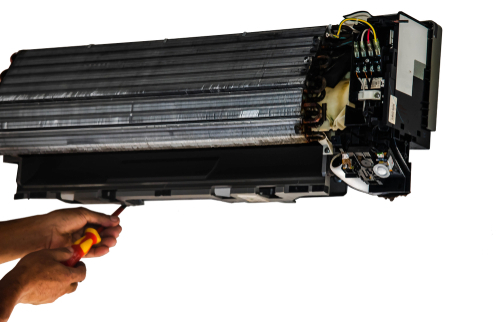 Warranty product renewals extend the lifetime of your products by providing repair services past the OEM warranty, driving loyalty and higher return customer rates. Warranty products which guarantee timely service fulfillment through highly trained service teams which provide real time updates to your consumers not only improve renewal rates, but provide a path to new product sales at the end of life. Happy customers can be your happy customers for life! OnPoint offers underwriting, warranty products, extended warranties and service contract administration, service fulfillment, service technology and logistics.